How to take full height of available viewport for header? 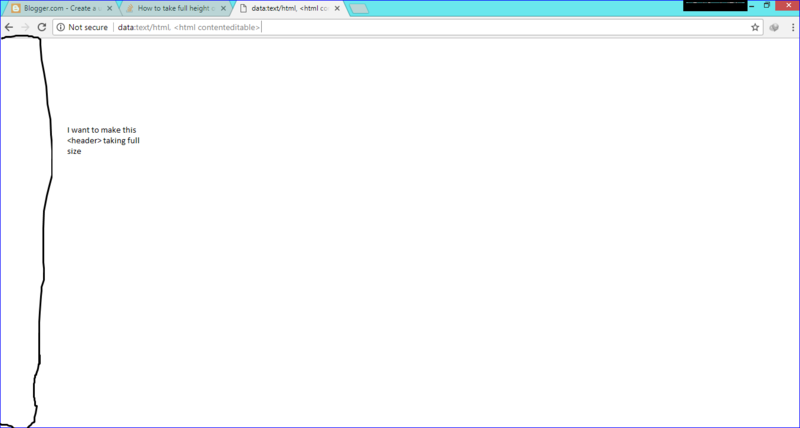 As you can see the blogger website, I want to take visible size of chrome for header. How can i do this? Like you can see in the picture. And if possible i dont wanna use vh unit because it shifts header up when i open console in google chrome. You can do it with jQuery using this code. The $(window).resize() is useful when you resize the page by using the Chrome console. Email codedump link for How to take full height of available viewport for header?